Studio Stu, with his state-of-the-art Studivarious single string bass, unique Brooklyn humor, and unusual, hypnotic vocals, is a master...a one string wonder, combining a traditional folk instrument and a classic jazz form, to create a third thing (one we haven’t quite figured out what to call yet).....fearless in delivery and willing to navigate uncharted paths through the improvisational wilderness; he is ‘el ultimo hombre del lounge’. 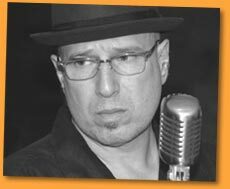 Studio Stu takes the very best in classic jazz and originals, and twists and bends them into what he calls ‘evocative jazz & exotic lounge’. He starts with standard tunes and a loop machine, except, nothing is sacred.....improv is rampant...lyrics are changed at will...notes and chords are bent and perverted...familiar languages are obliterated....harmonies are sweet and sour perfection......yet, serious, sophisticated and uncompromising in execution. He is one in-tune, out-of-tune, offbeat, beatnick. Liza Lee has become a vocal force on the jazz scene. The New York City based indie artist was born and raised in Reading, PA. Liza comes from a family steeped in musical tradition. Her grandfather was a seasoned jazz drummer and her grandmother, Terry Norman, was an internationally known jazz vocalist. Liza has no musical boundaries; as a child she was exposed to many genres from jazz to rock, from folk to classical. After numerous years performing on the stage and screen, Liza's jazz roots have resurfaced; she is drawn to jazz by the freedom to express herself through the music. Liza loves to take songs not typical of the standard jazz set and retell these stories in her own style as well as singing classic standards with her own flair. Through this creative pursuit, she has developed a collaborative relationship with one of today's premier jazz pianists, Max Jazz recording artist and producer Bruce Barth. Bruce produced her first CD and co-produced and arranged her latest project, "Scarlet Mark". Liza is surrounded by some of the greatest musicians on the New York City music scene and has been accepted as one of their own. Liza continues to develop her talents as she studies with the renowned Jeannette LoVetri of the Voice Workshop. In the fall of 2004 Liza will begin her "Scarlet" tour to promote her new CD before heading to Europe in the spring of 2005. Liza is a welcomed addition to the jazz world. She brings her passion, charisma, and charm to every performance. We will be hearing great things from Liza Lee for many years to come. The Victor Catanzaro Quartet repertoire spans an eclectic range of musical styles and tastes. Latin rhythms are a vibrant element of the repertoire. The group has recently completed engagements at 17 Main Jazz Club in Mount Kisco and the Millbrook Winery summer series. Victor Catanzaro, Paul Rossman, Kim Valentine. Victor Catanzaro completed a Masters Degree at the Manhattan School of Music in 1990. 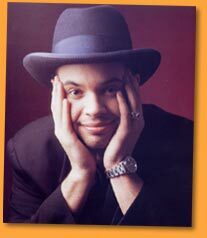 He has studied with Howard Zwickler and Arthur Lipner, and received instruction in jazz improvisation from Bob Keller. 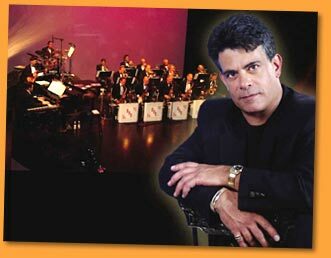 Victor is a gifted musician not only on vibraphones but on a number of other instruments as well, and recently performed as the principal percussionist for Joseph and the Technicolor Dreamcoat at the Sharon Playhouse. He has worked as a music instructor in the Beacon School District for over 12 years. Laura Theodore has recorded four critically acclaimed Jazz and Blues CDs. Her 1995 debut disc, TonightÂ’s The Night, garnered a Musicians Magazine BUBS Award. What Is This Thing Called Jazz? followed in 1997. In 1999, Live at Vartan Jazz was produced by the Vartan Jazz label. Her Adult Contemporary CD, WeÂ’re Only Human, is featured on the Etherean Music roster. Her recordings feature such fine musicians as Randy Brecker, Joe Beck, Andy Snitzer, Eric Wollman and pianist/co-writer Don Rebic. It was while doing a local television spot that Laura was discovered by manager Sid Bernstein (remember the Beatles at Shea Stadium? ), with whom she signed for three years. She appeared as a guest artist on many records and soundtracks, including Jim SteinmanÂ’s PandoraÂ’s Box (on the title track, Original Sin), and in the 1995 film, The Shadow. She also became a fixture in the jingle world, singing the Jordache Jeans jingle among others. Laura landed her trademark role as Janis Joplin in the Off Broadway hit Beehive, which earned her a Backstage Bistro Award. The subsequent cast album won critical acclaim, and gave Laura her first national television exposure. These days Laura is busy recording two new CD projects and can be frequently Â“heard but not seenÂ” as a voice for Nick at Nite Television. She tours frequently with her jazz show and her critically acclaimed self-written show, Celebrating the Great Ladies of American Song. Based in New York but originally from Detroit, Carla Cook is an earthy yet sophisticated jazz singer/songwriter. For Cook, being a jazz singer doesn't mean being a jazz purist or a jazz snob; there are elements of R&B, European classical, Blues and Gospel in her singing, and she is willing to put a jazz spin on songs that weren't written by traditional jazz composers. When it comes to popular music, some jazz vocalists limit themselves to the swing of the 20's and 30's, the Tin Pan Alley composers and the bebop of the 40's. Cook, however, includes many of these and goes beyond the American Jazz Standard Repertoire and has found the jazz potential in songs from the rock and R&B worlds - songs that have included Simon & Garfunkel's "Scarborough Fair", Marvin Gaye's "Inner City Blues", Bobbie Gentry's "Ode to Billie Joe" and Neil Young's "Heart of Gold". To be sure, Cook offers much of the standard repertoire as a foundation of her recordings and live performances, but always included are a few of her refreshing originals and a smattering of her childhood favorites. 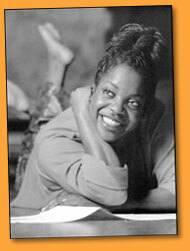 In her native Detroit, Cook started singing when she was a young child. Growing up, the Midwesterner sang in the Methodist Church. The secular music that she enjoyed ranged from R&B, rock, country and European classical. Though jazz has always been Cook's primary focus, she has been quoted as saying that her favorite artists range from Miles Davis to Chaka Khan to Johann Sebastian Bach. During her formative years, Cook studied privately, voice, piano and string bass, the latter of which she played in her high school orchestra. After leaving the Motor City, Cook moved to Boston to attend Northeastern University and earned a degree in Speech Communication. While in Boston, she formed the first of several jazz ensembles and set about the business of her trade. Then in 1990, she moved to New York, where she became active on the Manhattan club scene but paid her bills with various "day gigs" that concluded with her teaching social studies in a junior high school. By the mid 90's, however, she was singing on a full-time basis and had given up her "day gigs." It was in 1998 that Cook signed with MAXJAZZ, a small independent jazz label that is based in St. Louis that has been very singer-friendly. In 1999, Cook recorded her debut album; It's All About Love. The CD enjoyed favorable reviews and received a Grammy nomination in the Best Jazz Vocal Performance category and was awarded the AFIM Indie Award for Best Jazz Vocal in 2000. In 2000, Cook recorded her second album, Dem Bones and in 2002, she recorded Simply Natural, both for MAXJAZZ and both continue to receive critical acclaim. Paula Atherton was born and raised in New York. She began singing and studying flute at the age of nine and added sax to her repertoire while in her teens. She has studied privately with prominent jazz players and teachers such as Bob Mintzer, (Bob Mintzer Big Band, Jaco Pastorius, the Yellow Jackets), Lee Konitz, Sal Mosca, Liz Gorrill (Lennie Tristano), and Gerry Janssen (Vocal Fitness Center). Paula has toured various parts of the world, including Japan, Monte Carlo, Portugal, Canada, and the U.S. Paula has toured Japan four times, playing such places as the Pit Inn in Roppongi, and the Bottom Line in Tokyo. She also appeared on a popular Japanese talk show, performed, and was interviewed. Paula also had the honor of playing at the New York Ball in Washington, D.C., for a Presidential Inauguration. She devotes much of her time to her group, Interplay and has been very busy composing all of the material that the band plays as well as taking care of bookings, and all business. Paula Atherton & Interplay were finalists in the Hennessy Cognac Jazz Search, which was hosted by WQCD, 101.9 FM. Paula is the sax player as well as the band leader for the 'Lifetime' network comedy show "Girls Nite Out." Paula has extensive recording experience, both as a singer, and woodwind player and her music has been featured on many metro area radio stations. Jazz Musicians, that the LocoLobo Mediator Agency can book with their negotiating Skills. Are you a performer looking for an honest, hard working promotional company? Contact us! Don't sing the blues about expensive booking agency commissions. Instead, hire a mediator in the field like locoloboevents.com, and produce a unique event that brings jazz and blues to your delighted audience. Imagine booking a private show with Rick Derringer, the Duke Ellington Orchestra, or Spyro Gyra. We can book any talent you desire and we will deliver convenience and savings for your company. Locoloboevents.com is your partner in special event planning. Our entertainment packages offer you the best entertainment for your company's celebration. We provide speakers who connect well with your unique audience and musicians that can get the whole crowd dancing. As mediators, we work with individual agents and managers to negotiate deals, so you won't have to spend company time on the process. Whether your audience loves jazz or blues, country or rock, we will help you choose the most suitable entertainment. You won't have to worry about comedians telling off-color jokes to the wrong audience or DJs who play outdated music for young people. We can also find motivational keynote speakers that will deliver information in a way that best impacts listeners. Best of all, our packages save you money when compared with direct bookings through agents. When you hire an experienced, competent event management service like us, you will see a difference. We can handle each small detail without leaving anything to chance. We also offer concert promotions, ticket sales, and complete special event production. Contact us today--you will wonder why you waited so long!